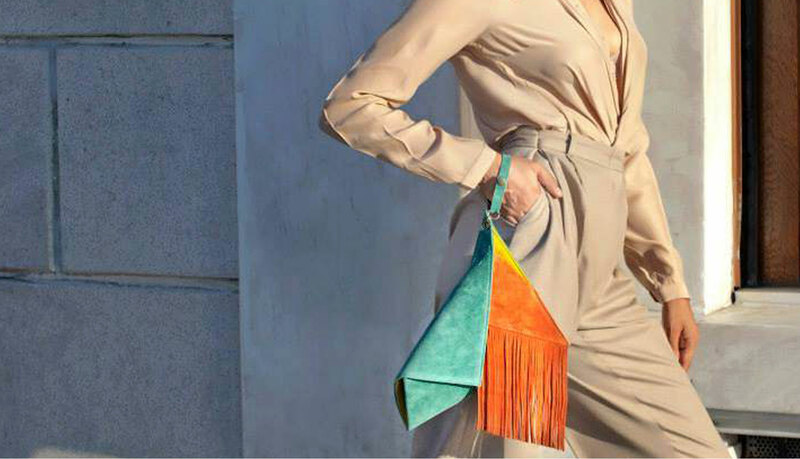 By merging handmade production, origami techniques and free-form sculpting, the very first design for Georgina Skalidi’s brand was created. 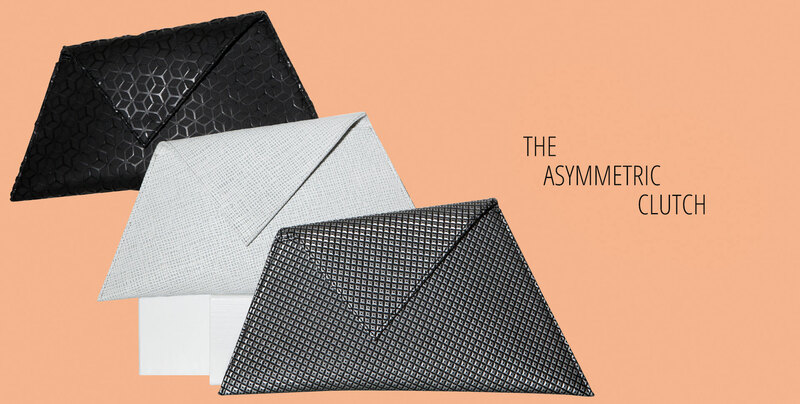 The deconstruction of a woman’s classic accessory, by introducing a fresh, contemporary, geometrical form, established the asymmetric clutch. 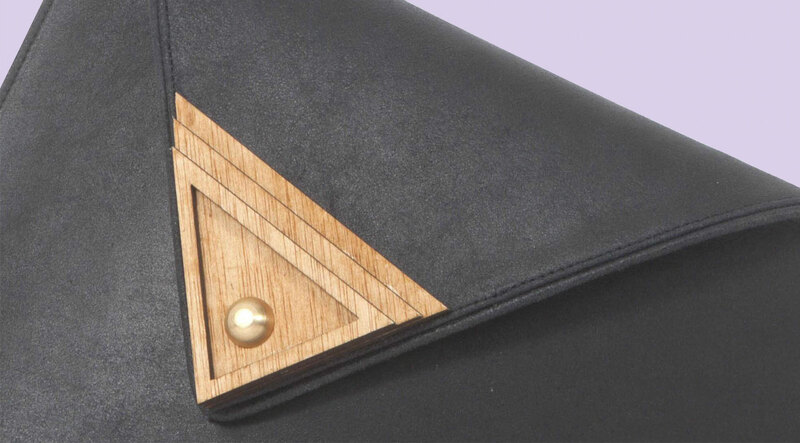 This prime clutch is unique due to its extending triangular shaped cap, blending fluidly into the obtuse and acute angles of the bag. 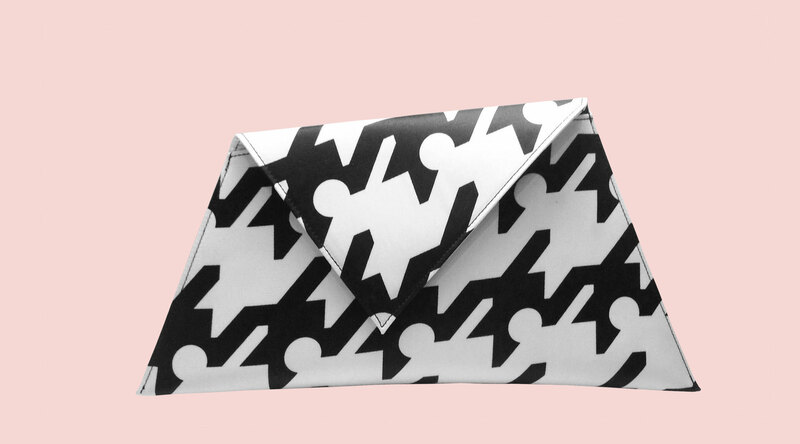 Face on the design seems of two dimensions, yet because of the designer’s singular pattern method, a beautiful three-dimentionality emerges when the bag is either held or worn. 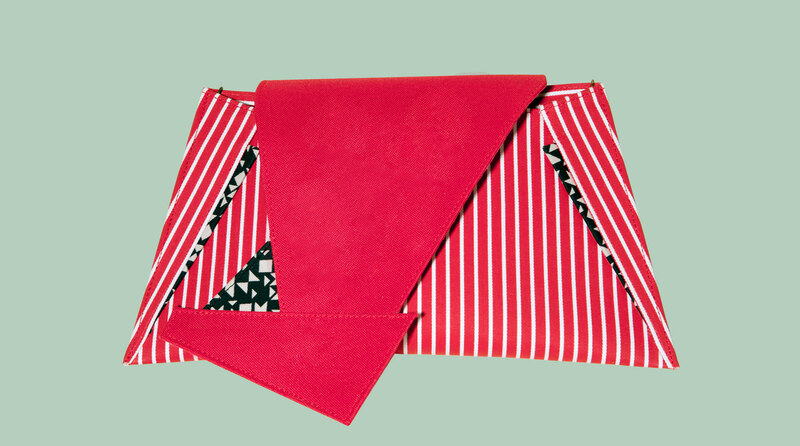 Each season, the asymmetric clutch has evolved into several sizes, made from numerous - and sometimes completely unpredictable - materials, yet its appeal to clients, fashion influencers, magazine editorials and exclusive retailers, remains as strong as ever.